A report published last April in the Annals of Internal Medicine left meat eaters salivating. 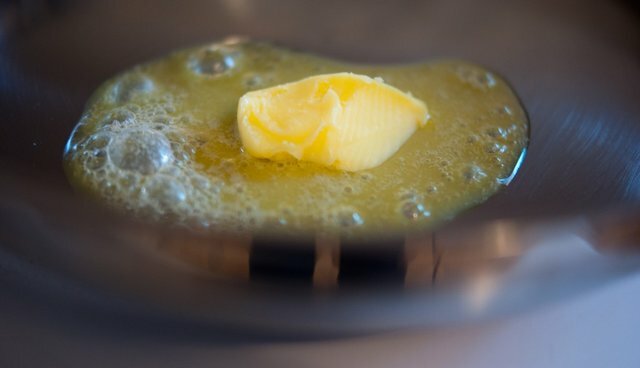 The meta-analysis of over 70 studies explored the comparative impact of saturated fat (found in meat, butter, and cheese) and unsaturated fat (found in vegetable oils, nuts, and fish) on heart disease. Challenging decades of conventional wisdom, the authors reported no clear correlation between levels of saturated fat and heart problems. Brashly, they concluded: "Current evidence does not clearly support guidelines that encourage high consumption of polyunsaturated fatty acids and low consumption of total saturated fats." Food writers, who have long struggled with promoting meaty and creamy recipes without prescribing a heart attack on a plate, were wide-eyed with glee. New York Times columnist Mark Bittman wrote, "Butter is back, and when you're looking for a few chunks of pork for a stew, you can resume searching for the best pieces - the ones with the most fat. Eventually, your friends will stop glaring at you as if you're trying to kill them." Christiane Northrup, writing in Huffington Post, practically urged readers to get thee to the nearest Burger King. "Think about it," she wrote, "It's not the burger with cheese and bacon that's the issue. It's the ketchup, the bun, and the fries." Michael Pollan, commenting on the Times coverage of the study, tweeted: "About time!" As a rule, one should be suspect when any nutrition study is widely celebrated. Sure enough, as so often happens, the other shoe quickly dropped on the saturated fat news. Within days of publication, critics of the study-as well as the researchers themselves-reported a slew of not insignificant errors. In one case the authors misinterpreted a study showing a strong correlation between unsaturated fats and positive heart health and, in another, they overlooked two critical studies on omega-6 fatty acids that presumably did not support their findings. Scientists were unusually vocal in their critiques. The omissions, according to a New Zealand scientist, "demonstrate shoddy research and make one wonder whether there are more that haven't been detected." The authors of the study "have done a huge amount of damage," Walter Willet, the chair of the nutrition department at the Harvard School of Public Health, told Science. Deeming the work "dangerous," he called for a retraction. Vocal critiques notwithstanding, the media blast touting this study cannot, of course, be undone. Willet noted as much, saying, "It is good that [the authors] fixed it for the record, but it has caused massive confusion and the public hasn't heard about the correction." A big problem for Willet is meta-studies per se. "It looks like a sweeping summary of all the data, so it gets a lot of attention," he said, "but these days meta-analyses are often done by people who are not familiar with a field, who don't have the primary data or don't make the effort to get it." Just as unfortunate as the apparently flawed meta-study was the quickness with which the food writers pushed it to the center of the media's plate. Why such zeal? Why not wait until there was some vetting?